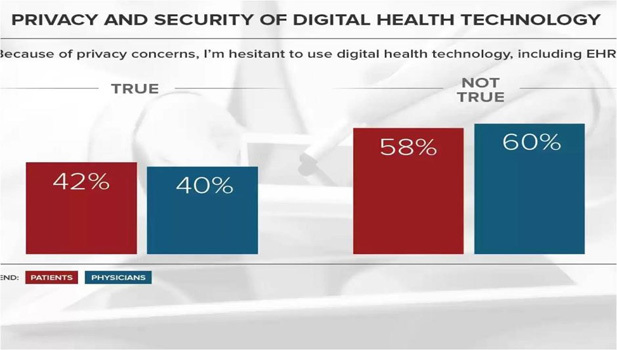 From late August to September 2014 two of the leading sites of health information and services conducted a survey whose results gave insightful information on both patient and physician perspectives on digital health technology’s role in diagnosis and care. WebMD is the leading provider of health information services, serving consumers and healthcare professionals through private online portals, mobile platforms and health focused publications. Medscape is the leading source of clinical news, health information and point of care tools for healthcare professionals. 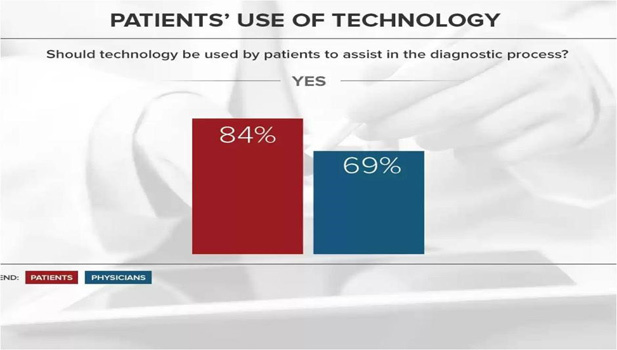 The WebMD/Medscape Digital Technology survey weighed the views of clinicians and patients on the new technology and gadgets used in medical practice. In total 1406 clinicians including Physicians, nurse practitioners, nurses, physician assistant and med students were surveyed through Medscape whilst 1102 patients responded to the survey on WebMD. We thought it good to derive 5 Technology aspects of the survey that could be of particular interest to the community of techpreneurs interested in venturing into techmedicine! On being asked if technology should be used by patients to assist in the diagnostic process? A majority of both patients and physicians were in approval of the use of new technologies such as smartphone apps with add on devices. Blood pressure monitors, ECG and blood glucose meters are some of the devices that are being connected to the smartphone via Bluetooth to relay and interpret results. But physicians were mostly comfortable with these technologies as long as the provider was the one making the final diagnosis. The ability to take samples and send results via a smartphone app to physicians has the convenience of allowing a ready display of results. 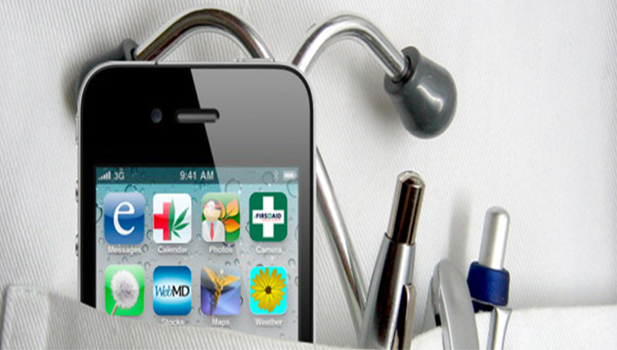 Generally people would want to avoid going to the doctors so readily approve smartphone apps that send data about physical symptoms e.g skin rash, eye discharge to healthcare providers. In daily Zimbabwean practice we have adopted the automatic portable blood pressure and blood glucose machines that are not essentially connected to mobile devices. The devices that send data via smartphone would be more suitable in private practice where the data goes to the patients’s regular physician. Chronic conditions such as diabetes and hypertension will mean that the patient will likely be needing these devices daily for the rest of their lives. 96% of both patient and physicians agreed on patients being allowed to see their electronic health record.Majority of people in the US can view online, download and transmit their health information. In Zimbabwe there is certainly a need for such EHR systems. Our patients are carrying books and copying paper records is more cumbersome.However, another part of the survey revealed that doctors are not willing for patients to have access to the physicians notes because of concerns that it will lead misinterpretation and panic. This culminates in an increased workload.I have had to take time to reassure several patients who would have been alarmed by a ‘+’ sign on a blood test result assuming it to mean HIV positive! Health professionals value patient confidentiality. Though security is a concern, the convenience that Electronic Health Records provide accounts for the willingness by a majority to adopt this technology. The most encouraging aspect of the WebMD/Medscape survey for those interested in Techmedicine will probably be this; 235 of the 1406 clinicians surveyed were medical students! As the future of medicine, more of them were open up to digital technology solutions to health. The current gatekeepers of the profession may be conservative and sceptical but the next generation are already using tablets and smartphones as students. They are already appreciating the convenience!When Econet wireless decided to launch EcoSchool they began with the UZ College of Health Sciences, giving the low cost EcoSchool Android tablets to medical students. These more tech-savvy health professionals of tomorrow will be more open to collaboration and innovation. This hopefully will lead to local great enterprises and services such as WebMD and Medscape! For full details of the study as well as the other aspects of the democratization of medicine that were surveyed you can click here. Are developers missing an opportunity in gaming?